A group of online amateur sleuths spreading others' personal information is the last thing authorities want. Yesterday morning a contractor who had been discharged from the Navy in 2011 opened fire at Washington Navy Yard. While authorities began searching for the shooter, a subreddit called "findnavyyardshooters" became the gathering place for community members to post personal information of suspected shooters. 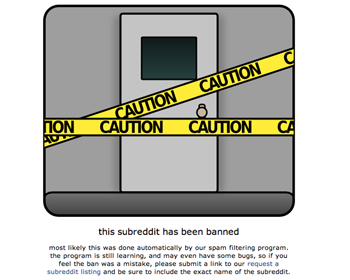 The subreddit was then banned for violating site rules "by encouraging the posting of personal information." The sidebar for the subreddit urged members to only post leads and personal information if "you are really sure." Reddit general manager Erik Martin told the Washington Post, "We do not allow the posting of personal information under any circumstances." Back in April, Reddit users teamed up to find the identity of the attackers in the Boston Marathon bombing, fueling "online witch hunts" that falsely identified people as the bomber. One false identification claimed Sunil Tripathi, a 22-year-old Brown student, was one of the bombers. Tripathi was later found dead in Rhode Island. Martin apologized in April for not stopping the posts. "We hoped that the crowdsourced search for new information would not spark exactly this type of witch hunt. We were wrong. The search for the bombers bore less resemblance to the types of vindictive Internet witch hunts our no-personal-information rule was originally written for, but the outcome was no different." Social media can cause dangerous consequences when people are not aware of their actions or posts. It's a good thing Reddit moderators have learned from their mistake in April.